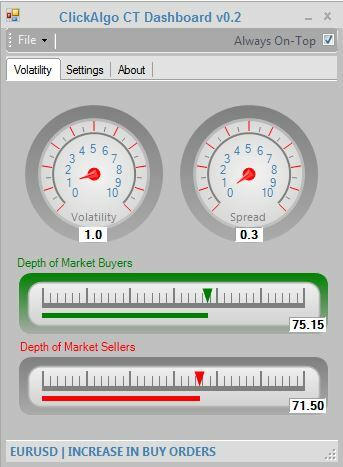 This dashboard for the cTrader platform shows the volatility of an instrument together with the spread and depth of market all in a nice graphical view. 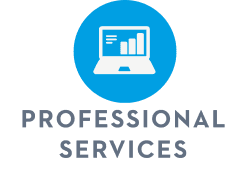 PLEASE NOTE THE DEPTH OF MARKET (DOM) WORKS WITH FXPRO. This part of the dashboard shows the current volatility in seconds for a 1 minute time-frame, so this will be only good for maybe scalpers or very short trade duration. 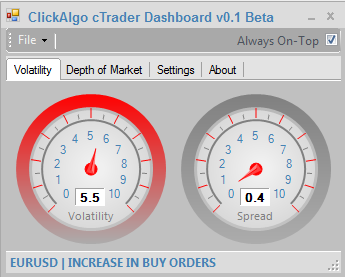 In the settings tab, you can set a threshold for the maximum number of pips that has moved, if the value goes above the threshold then the gauge will flash red as shown for the spread. You can assign a sound to occur when this happens. This shows the current spread of an instrument and you can also set the maximum threshold and an alarm when the value goes above this. The value in the text boxes are show the total orders. 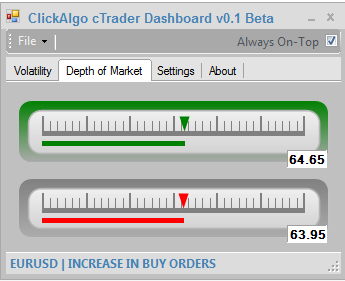 The status bar at the bottom show the instrument and whether the accumulated orders show an increase in sell or buy orders. As soon as you start the dashboard a counter starts accumulating all the orders for both buy and sell, so that you end up with an indication if the Bears or the Bulls are in control for the day. The top gauge will show Green if the bulls are in control and the bottom gauge will show red if the bears are in control. 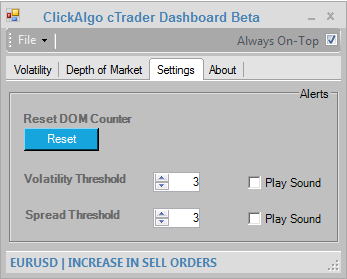 You can reset the accumulated DOM counter for buy and sell orders. Set your threshold value for alerting you when the rapid pip movement goes above the target value, you can select the play sound option for an audible alert. Set your threshold value for alerting you when the spread for the instrument goes above the target value, you can select the play sound option for an audible alert. you can have many dashboards for different instruments on your screen so you can monitor them at a glance.